The petite DR-7400 has been optimzed for the best-in-class data transmission mode PACTOR-4 (P4). P4 gives unparalleled fast and robust data links via HF/SSB radio . Email feels almost like at the office - from any point on earth. 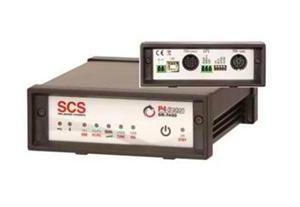 The DR-7400 is software compatible with the SCS PTC series of modems so existing PACTOR software (Airmail, RMS Express, Alpha etc) can continued to be used. The elegant design as well as the easy upgrade possibilities (free updates!) complete the concept of the “Little Dragon“. Of course, the DR-7400 also provides TRX remote control, a GPS input and an (optional) Bluetooth interface. ARQ protocol: Synchronized, similar to PACTOR 3, except 10 instead of 6 speed levels (“Waveforms”) and faster switching. Bandwidth is always smaller than 2400 Hz.